Neighbors are asking VTA to drop plans to put a light rail bypass track in the St. James Park area. More details on the Centerra high-rise are leaking out. The 21-story 347-unit apartment building across from the San Pedro Square Market will be made out of brick and limestone. The 7,000 SQFT of retail facing the SPSM will be sub-divisible into 1,000 SQFT shops and the space is expected to be occupied by businesses that will complement the market. The builders are hoping to raze structures on the site in the next 60 days and start construction this summer. The building should be ready by 2015. Groundworks survey results came back for 2013 and showed positive gains in stakeholder's perceptions of Downtown cleanliness, clean teams, beautification projects, and tree maintenance plans. There were drops in the survey for satisfaction with improved safety, overall image, and overall condition. [Josh: That should change when new safety measures are put in place by Groundwerx]. Ike's Place is opening a new sandwich shop at the northeast corner of Second and Santa Clara Streets! Pauly's Famous Franks N Fries is open at 312 S. Third St., serving over 50 different hot dog combinations. Amir Mediterranean Cuisine is now open at the former Morocco's site at 86 N. Market. Chandler Pratt & Partners wants to build a mixed-use project at 785 and 795 The Alameda, between the new Whole Foods and Arena Hotel. This would include 98 residential units sitting on top of retail. The 7.7 mile section of the Guadalupe River Trail from 880 to Alviso is now fully paved. SubZERO will be taking place along SoFA on June 7th. Kudos to the grounworks folks....they do a great job and are always friendly. It also seems a very dignified operation all together–the uniforms, etc. I hope their workers confirm that mine is the correct impression. I love the flower spheres all over downtown! Always have. 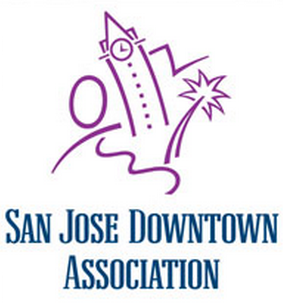 Gives a very special touch to downtown SJ. Completely agree, we need to do something about this. We don't want to become like SF with the homeless population. Don't even get me started on the vagrancy problem at St James Park. There are a couple of spots on the east side of the park that have become encampments. It's shameful that the city/police do absolutely nothing about it. The least they could do is keep the playground clear for kids to use but they can't even bother to do that. You couldn't pay me to bring my kids to the playground at SJP. I feel like they'll get stuck with needles or something. Shame. Looks like Cabritos closed permanently this week. Hopefully something interesting takes that space. Darn, I wish they could have hung on a little longer. Perhaps that would be a good location for the San Jose Cooperative Brewery and Pub. Yeah, that'd be pretty great. BTW, I took a look at your restaurant list and you're missing a couple of things. Recently opened: Pops & Sons Soda Co.